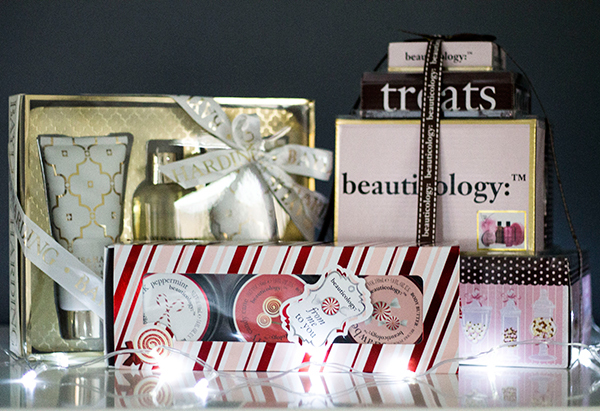 As it’s now finally December we can get cracking on with our Christmas beauty gift guides! We’re so excited for the holiday season that we’ve pulled together a few posts dedicated to the Christmas gifts which we think you’ll love and for any last minute shoppers, a little helping hand in the gift choices out there. We've started off with our gift guide for men but now it’s all about the ladies. As part of our Christmas gift guides we'll be donating a selection of sets we feature to charity and to start off the gift guides, we'll be taking a look at skincare gifts. We’ve been loving the Baylis & Harding Beauticology Candy Cane 3 Body Butter Set* which would be perfect to give to a friend who loves festive scents. 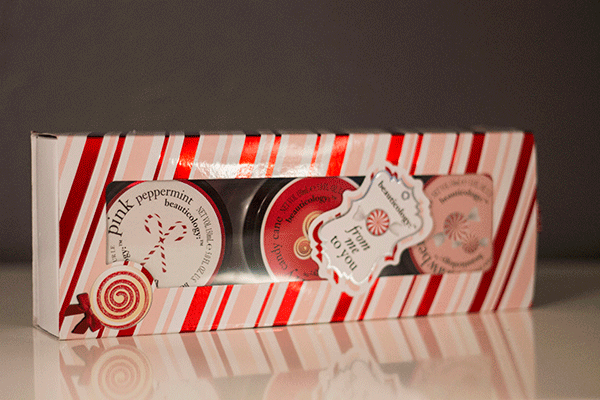 The set features three body butters: Strawberry Swirl, Cherry Candy Cane and Pink Peppermint which all smell amazing and leave your skin feeling so soft and moisturised, perfect for the winter months! A great thing about Baylis & Harding is that they have such a wide range of sets to cater for every age range. If you’re looking for something a little more sophisticated, the Baylis & Harding Sweet Mandarin & Grapefruit - 3 Piece Gift Set* is extremely popular with the 40+ ladies from experience working in a retail store which sold them. The set features a luxury shower creme, a balancing body wash and indulgent moisturising body lotion all with the Sweet Mandarin & Grapefruit scent so all the scents compliment each other very well. The packaging alone is so luxurious that it’s hard to believe how affordable the set is. If you can’t tell already, we do love a good packaged product and the Baylis & Harding Beauticology Chocolate Large Stack Gift Set* is definitely the winner for us. 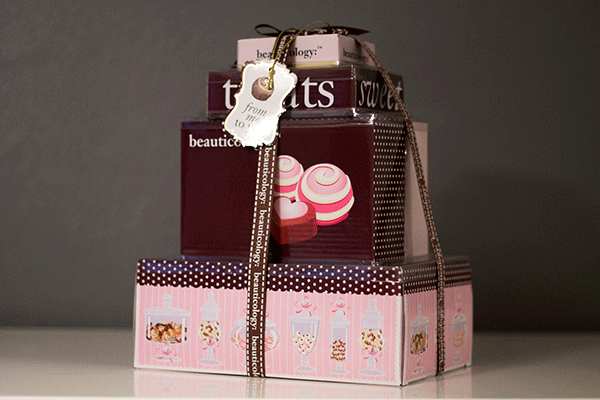 For those who haven’t mastered gift wrapping yet, this set already takes care of it for you. This set would be perfect for any girl who likes sweet, girly scents. The impressive set features: a strawberry & vanilla cream truffle body wash, decadent milk chocolate shower crème, white chocolate body butter, raspberry crème chocolate soap, a wash mitt and a nylon body polisher so the receiver should be set for all things soapy for a long time! Though if chocolate isn’t your thing but you love the idea of the set, it also comes in a few different scents. The Body Shop always do an amazing selection of gift sets but we absolutely love The Body Shop’s Ginger Sparkle Shower Scrub Moisture Collection*. The set comes in a huge gingerbread man tin and features 4 products from their Ginger Sparkle range. The Ginger Sparkle Body Butter is a small pot of their amazing body butters with a strong ginger/spicy scent which makes it perfect for winter. The Ginger Sparkle Body Polish helps exfoliate the skin, made with ginger extract and fair trade honey. A huge Ginger Sparkle Shower Gel which will last you ages and a Ginger Sparkle Mini Heart Soap for bath time. Once you’ve used all the products inside, you could use the gingerbread in for all your wintery baked goods too, save us a gingerbread man! That’s all for our skincare addition to our gift guides this year. Make sure you tune in the rest of the week where we'll be continuing our gift guides with fragrance.